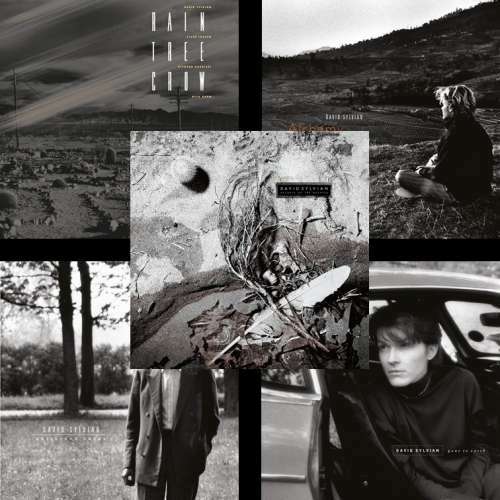 12 December 2018 (Toronto, ON) – On February 22, 2019, Virgin/EMI/Universal Music Canada, the country’s leading music company, will release the deluxe vinyl release of four David Sylvian albums spanning the period of 1984 to 1987. David Sylvian’s intermediary album, made up of two entirely separate projects from 1985, is now available for the first time on 180gram vinyl. Featuring brand new artwork, the album includes rare photographs by Yuka Fuji, design by Chris Bigg, and a download card. David is joined on Alchemy by Holger Czukay, Robert Fripp, Jon Hassell, Steve Jansen, Ryuichi Sakamoto, and Kenny Wheeler. David Sylvian’s second solo album proper, a 2LP set from 1986, is now available for the first time on 180gram vinyl. Featuring the singles “Silver Moon” and “Taking The Veil”, the 2LP set is housed in a gatefold sleeve with brand new artwork, including rare photographs by Yuka Fuji, design by Chris Bigg and printed inner bags plus a download card. David is joined on his second solo album by Robert Fripp, Bill Nelson, Kenny Wheeler, John Taylor, Phil Palmer, B.J. Cole, Mel Collins, Steve Jansen, and Steve Nye. David Sylvian’s third solo album from 1987 is now available for the first time on 180gram vinyl. Including the singles “Orpheus” and “Let The Happiness In”, the album features new artwork based on Nigel Grierson’s original photographs and is designed by Chris Bigg with a printed inner bag and download card. David is joined on his 3rd solo album by Ryuichi Sakamoto, Mark Isham, Steve Jansen, Danny Thompson, and David Torn.